One of the country's most visible anti-Israel groups spent the Thanksgiving weekend engaged in some magical thinking and planning to change America's political landscape. American Muslims for Palestine (AMP) has long rejected Israel and turned a blind eye to the ways terrorism from groups like Hamas and Fatah actually make life worse for average Palestinians. It is consistent with an organization that has documented links to a defunct Hamas-support network in the United States. The convention, held in Chicago, marked the 100th anniversary of the Balfour Declaration – Britain's endorsement of "the establishment in Palestine of a national home for the Jewish people." Several speakers spoke of demanding a British apology. Other speakers claimed that the effort to boycott, divest from and sanction Israel (BDS) is hurting the country's economy, that the media is slanted toward Israel and that Iran is not as big a source of regional mischief compared to Israel. But the broader focus was on next year's elections, and a belief that a better organized Palestinian movement can dramatically change American policy. Polling indicates younger liberals are increasingly more supportive of the Palestinian cause than of Israel, Josh Ruebner told a session on campaigning. Ruebner, the policy director for the U.S. Campaign for Palestinian Rights, said this change in attitude can lead directly to changes in America's Middle East policy. Politicians "pay attention to these polls. They also pay attention to a poll last year by the Brookings Institution which found that 60 percent – 60, Six-Zero, not 16 – 60 percent of all Democrats supported sanctioning Israel," he said. "So when we see all these politicians trying to pass these laws to punish us, to criminalize us for engaging in Boycott, Divestment and Sanctions campaigns, we only have to point to the fact that the majority of the base of the Democratic Party supports those efforts." Ahlam Jbara, former interim director for the Council of Islamic Organizations of Greater Chicago who worked with the Bernie Sanders presidential campaign, described an increased emphasis Palestinians received during the election cycle. "It was on the radar because organizations like AMP, the US Campaign, and others, made a really big push to make sure that Jerusalem is on the platform. Right? You had Bernie Sanders say Palestinians have human rights, Palestinians have the right to exist, Palestinians have the right to clean water..."
Jbara's Facebook page icon features her pictured with convicted Palestinian terrorist Rasmieh Odeh, who was deported from the United States in September after being convicted of naturalization fraud. When she applied to become a U.S. citizen, Odeh failed to disclose her conviction for a 1969 Jerusalem supermarket bombing that killed two university students. Her cause was embraced by anti-Israel groups including AMP. During the 2016 Democratic National Convention, Palestinian advocates came close to changing the party platform in their favor. That result was thwarted by "the highers-up," said Milwaukee attorney Othman Atta, Milwaukee attorney, a former director of the Islamic Society of Milwaukee. "So, we need to change the leadership at the top," he told the AMP convention, "because these people are just like the elites that are doing whatever they want. We need to have more grassroots effort. And as Muslims, we need to be involved." In 2011, Atta dismissed the U.S. terrorist designations for Hamas and Hizballah as "a political decision" and wondered why Israel was not similarly labeled. Other speakers cast Palestinians as innocent, passive victims too impotent to be engaged in "conflict" with Israel, their story misrepresented by a media that they say favors Israel. "I travel to Palestine and Israel and I discovered there is no Palestinian-Israeli conflict," Florida political activist Manal Fakhoury said. "None. Zero. Zilch. Diddly-squat. I can say with confidence that Palestinians have no agency. The Israeli government controls everything. Currently there is no conflict. Only the omnipresent power of Israel and people trying to resist it." This position, of course, pretends that Hamas terrorists in Gaza have not launched thousands of rockets into Israel, and diverted money that could be used to build the territory's infrastructure and improve the quality of life in order to invest in re-arming and building attack tunnels for its terrorists. Fakhoury also seemed to equate the Nazi Holocaust, which claimed 6 million Jewish lives as part of a "Final Solution" to eliminate Jews from the planet, with the Palestinian Nakba, or catastrophe, of Israel's 1948 creation. When her daughter was in middle school, Fakhoury explained, she texted her mother to say the class was learning about the Holocaust. 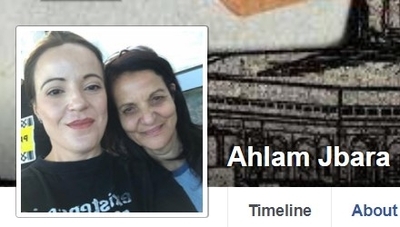 Was it okay, her daughter asked, to ask the teacher why the class wasn't also learning about the Nakba. The teacher didn't know anything about it, but Fakhoury said her daughter was allowed to make a presentation the following week. "We need to tell our story," Fakhoury said. The media also fails to tell the Palestinian story, said Ahlam Muhtaseb, media studies professor and interim director for California State University, San Bernardino's Center for Islamic and Middle Eastern Studies. She portrayed coverage of the last Gaza war as slanted in Israel's favor. Israel was "genociding (sic) against the people in Gaza. You can't really hide that," she said. "CNN for the first week, all it did is repeat Israeli propaganda, official narrative of what's happening in Gaza," Muhtaseb said. "Firstly the dominance, infatuation of Israeli officials or Israeli spokesperson in the United States or you know those kinds of sources were just dominant. You did not see any Palestinian voice." Genocide is the "deliberate and systematic destruction of a racial, political, or cultural group." Palestinian sources say 2,300 people died during the 2014 war. Many of them turned out to be Hamas fighters. But even if you accept that the number is accurate, it is nowhere near a genocide. Muhtaseb also overlooks the extraordinary effort by Israeli officials to minimize civilian casualties, including advanced warnings by flyers and in direct telephone calls for civilians to leave a targeted area before the bombs fell. "I believe that ... everything the IDF does to protect civilians and to stop the death of innocent civilians is a great deal more than any other army, and it's more than the British and the American armies," Colonel (ret.) Richard Kemp CBE, the former commander of the British armed forces in Afghanistan, said in 2014. Much of the reporting during the Gaza wars has been heavily slanted toward the Palestinian narrative. Many news outlets never reported Hamas threats to journalists, who in turn feared reporting on Hamas rocket fire from areas surrounded by civilians. Reporters acknowledge this after they leave Gaza. Other programs focused on concern over legislation in several states and proposed in Washington to thwart the BDS movement. The legislation essentially creates a state boycott of any business which boycotts Israel due to the inherent anti-Semitic nature of the boycott movement. While BDS campaigns on college campuses have won support from student bodies, they have failed to persuade officials responsible for school endowments from withdrawing investments in companies doing business in Israel. 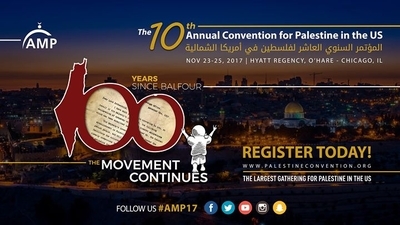 But AMP Associate Director of Outreach & Grassroots Organizing Taher Herzallah, who in 2014 justified Hamas rocket fire into Israel and called images of wounded Israeli soldiers "the most beautiful sight," painted a picture of BDS success crippling Israel's economy. "Over the past 12 years we've seen banks, labor unions, artists, governments such as South Africa, companies, academic associations, student groups and religious institutions take formal positions to withdraw their investments from, cancel shows in, or boycott the Zionist regime," he said. "There's been marked success with billions of dollars of investments threatened to the point that the Israeli Ministry of Strategic Affairs has dedicated an immense amount of resources fighting what it calls the delegitimization of Israel through BDS." While imperfect, Israel's economy has been thriving, drawing 15 percent of global venture-capital investment to its burgeoning tech sector. The Investigative Project on Terrorism has demonstrated how blind hate toward Israel drives Palestinian advocates to make outlandish claims and faulty analyses. Just last week, AMP National Chairman Hatem Bazian had to apologize for retweeting anti-Semitic cartoons. In each, the message was that Jews get away with things others cannot. AMP convention speakers, including Bazian, were influenced by that blind hate when discussing indications that a new U.S. peace initiative could include regional partners as part of an alliance against Iran's dangerous and expanding influence. Two senior AMP officials described opposition to Iran as misguided, or perhaps disproportionate. National Chairman Hatem Bazian described the situation for Palestinian advocates as "very dark ... we are in the lowest period in our political history and power. Not only do we have to deal with Israel's occupation, we have to deal with the Arab world. They have turned around thinking that Iran is the biggest threat, and they're just cooking to think about Iran. And they have an Arab summit which is silence toward Palestine ... it is difficult." Several countries threatened by Iran, including Saudi Arabia, have been moving toward relations with Israel. Iran's military support may be the only reason Syrian dictator Bashar al-Assad has survived, at a cost of war crimes and mass killings enabled by Iran and its Lebanese proxy, Hizballah. Iran also is stoking killing in Yemen by arming Houthi rebels as it seeks to establish its regional dominance. Bazian, a University of California, Berkeley faculty member, places the need to protect Palestinian intransigence as more important. At least AMP National Policy Director Osama Abuirshaid acknowledged he's "not a fan of Iran," before finding fault with Sunni states who see the Islamic Republic as an enemy. "But to go against Iran by justifying the Israeli crimes and normalizing them, this is appalling," he said. "So now Iran is the enemy. Saudi Arabia and UAE, they want Israel to be their ally against Iran." No speaker during the three-day convention spoke about ways Palestinians and their advocates might make conditions better for peace. None talked about finding ways to engage with supporters of Israel to find a way forward. The one Israeli voice present, Miko Peled, is a staunch anti-Zionist who wore a BDS badge. He won applause when he described the goal of popular resistance a freeing all of Palestine. He even contested using the name Israel – "the country must be called by its name, and its name is Palestine." In September, Peled seemed to question the Holocaust and equate Israelis with Nazis when he addressed Britain's Labour Party. Free speech, he said, includes "the freedom to criticise and to discuss every issue, whether it's the Holocaust: yes or no, Palestine, the liberation, the whole spectrum." There are limits, however, to tolerance. No one invites Nazis to defend their view, "and in the same way we do not invite Zionists." In a video appearance, former Palestinian parliament Mustafa Barghouti, a leader in the BDS movement, described the demands all Palestinian factions insist upon: A state with "Jerusalem as its capital, and ... the right of every refugee to come back to their towns and villages that they were displaced from." Barghouti, and all Palestinian advocates, know that a "right of return" could swamp Israel with people who call themselves refugees, but who are two and three generations removed from stepping foot there. The resulting demographic change would cost the country its Jewish majority, effectively giving Palestinians the one-state solution they want. AMP's rhetoric was somewhat toned down, but its ultimate message remains the same. It has no interest in peaceful coexistence.